Being a ClichÃ© Cat Lady and Loving It. 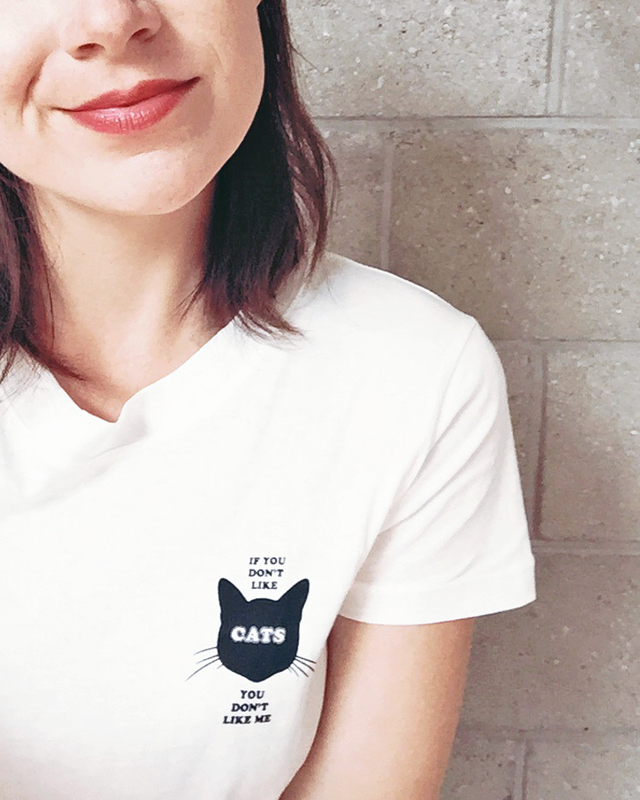 As a single person with two cats, I've had my fair share of conversations all about the crazy cat lady clichÃ©. Facts: I do talk about their funny habits and -quite frankly- my adventures with them quite a lot, and - yes - I post a lot of pictures. So on this day of all days (it IS 'Love Your Pet Day' you know), I would like to tell you just why that is, which clichÃ©s I'd like to put a stop to, and, above all, why I'm actually OK with being called a cat lady and why I'm not planning on changing my crazy cat lady ways. ClichÃ© cat lady myth number one: people often assume that, because you talk about those felines a lot, they must be the only company you enjoy. I can assure you, that's not true. In fact, it's the most ridiculous thing I've ever heard. Even the best of friends are not always there when you need them the most, and you most certainly don't always feel like ringing them up and hanging out, to begin with. As for me, I'm not always big on talking either, so it's quite nice to NOT have to talk about the bad day I was having and just have the comfort of a cat cuddling up to me, while it's a comfort to have that as well when I DO feel like talking but can't. Also, and let's just get this over with, shall we, there ARE a lot of occasions wherein a cat - or any other pet - would make much better company than certain human beings. You know it, I know it. Everyone does. Oh, please. I can no longer count the times I've just seen it on people's faces whenever I namedrop Strummer or Leia as if they were the lights of my life (which, news flash, they truly are. Among many other lights); 'no wonder you're still single'. Well now, let me explain something if you've ever thought that of any other cat person: potential boyfriends are not competing - if ever it was a competition, sorry for calling it that but it is kind of true - with the cats. They are competing with a happy bubble of personal space and independence, which just happens to contain one cat or more. That is, if you ask me, the hardest part about wanting to find love so 'late' in life. You've already made that little space as perfect as you can, to your own liking, no need for compromise, so you're not looking for something or someone to just 'add' to that. That's impossible. You're looking for someone to compliment that space and your life and make it better. So, nope, nothing to do with cats, but also, yes, my cats and I are a package deal. I felt like I should still be clear on that matter, haha. I will never deny that a dog's title of 'man's best friend' is an unfair one. A dog's love is unconditional, I get and I admire that, but I guess that's also why I like cats more. A cat's love is conditional. Hard-earned, but definitely up there with a dog's. And once you earn it, it's the cutest and one of the most gratifying things in the world, if I dare say it. It IS true that a cat is more independent, but that doesn't mean it's a solitary creature, as I know so many people treat them. As for mine, I love how they've developed little habits around my work schedule and how they take turns for quality time whenever I'm home. I love how they are confused whenever I have a busier schedule than usual, and how they take 'revenge' by keeping me up all night whenever I go to a concert or the movies straight after work. I love how different they are in character, and I consider myself the luckiest girl in the world for scoring two sweet cats instead of little monsters. Or not lucky. Hard-earned if only by giving them enough attention and taking good care of them. This one's quite simple. If I'm home and my cats do something funny or adorable and I'm lucky enough to catch it on camera. I shall post it. So what if they're a big part of my life and I want to share that on my feed? You don't ask any other person to stop posting baby, food or workout pictures, do you? You might think it sometimes, I do too, but there's absolutely no reason for you to be offended or annoyed by them if you can just click them away. It's social media, it's daily life (well, most of the time), it's personal. So, maybe just chill instead of wishing/asking/demanding a person to cut back on something that makes them smile? Because, no. I shan't. They're too pretty and always camera ready. Can. Not. Resist. Q: what are your favourite things about your pets? Ever been called a crazy cat lady? Proud to be one? All that and everything else: more than welcome in the comments! PS: I wonder what they call a single male with a love for cats. Is it Crazy Cat Man? It's not that big a thing, is it? What a surprise.